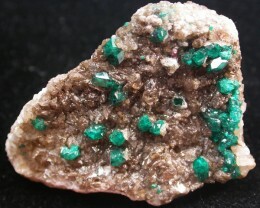 This is a natural untreated specimen on its natural matrix from Kazakhstan showing the rich emerald green its known for. 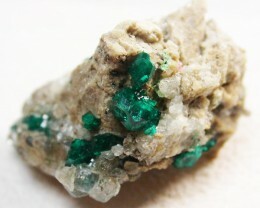 Dioptase is an intense emerald-green to bluish-green copper cyclosilicate mineral. 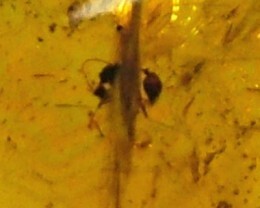 It is transparent to translucent. 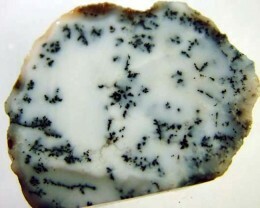 Its luster is vitreous to sub-adamantine. 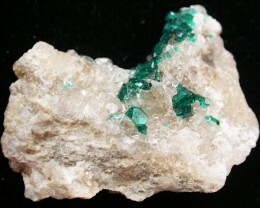 Late in the 18th century, copper miners at the Altyn-Tyube (Altyn-Tube) mine, Karagandy Province,Kazakhstan thought they found an emerald deposit of their dreams. 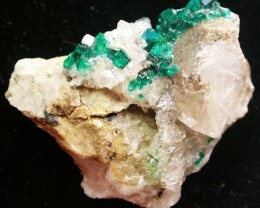 They found fantastic cavities in quartz veins in a limestone, filled with thousands of lustrous emerald-green transparent crystals. 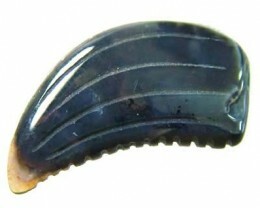 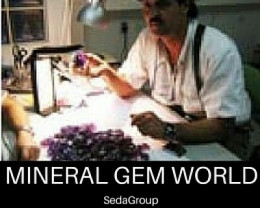 The crystals were dispatched to Moscow, Russia for analysis as they thought they were Emeralds.